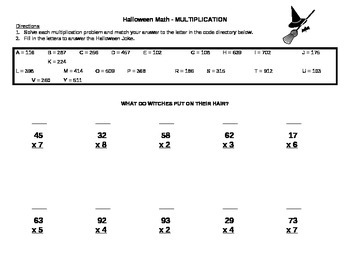 These are fun multiplication problems that require students to answer a problem, match the answer with a letter, and use the letters to reveal the answers to a Halloween joke. 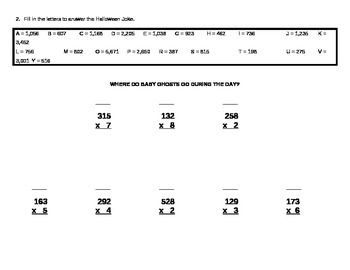 The students will have fun revealing the answer to each joke! 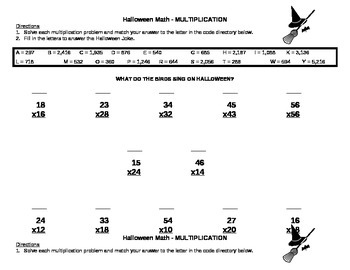 All numbers are whole numbers, which makes this a great review activity.